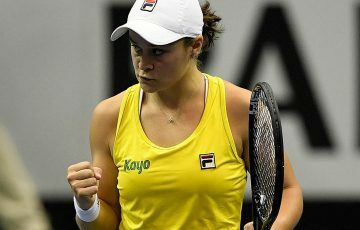 Australia is on the verge of ending its long spell in the Fed Cup wilderness, according to captain David Taylor. Taylor has proclaimed Australia outright favourites for next month’s World Group Play-off against Ukraine in Melbourne on clay. The hosts will boast their strongest team in years with Jelena Dokic winning the recent Malaysian Open and world No.4 Sam Stosur and Jarmila Groth seeded for this week’s highly rated Indian Wells event. 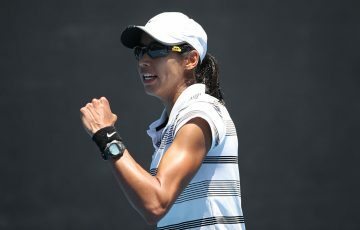 Anastasia Rodionova also won direct entry into the main draw in California, where she was beaten by Monica Niculescu of Romania. And Dokic would have joined them had her ranking boost from winning in Malaysia been activated in time. Dokic will practise for a week before contesting the USD$100,000 Bermuda Challenger and then hope for a wildcard into the USD$4.5 million Sony Ericsson Open in Miami from March 22. 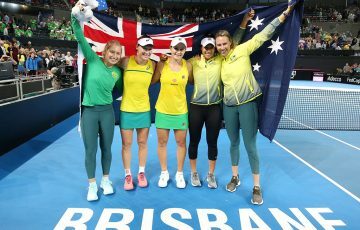 Australia lost to defending champs Italy – who is aiming for its third straight Fed Cup crown this year – in Hobart last month but Taylor is convinced there is now the depth to hold down a permanent spot in the elite group. 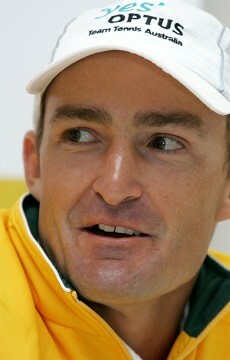 “Italy have won three Fed Cups in the last five years and we almost beat them,” Taylor said. “I think we need to be established in the World Group and stay there. 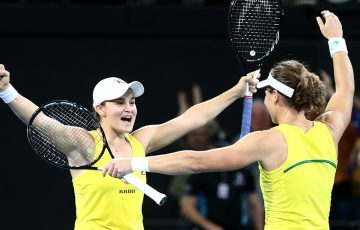 Stosur and Rodionova led Australia to a 5-0 whitewash over Ukraine at this stage of the competition in Kharkiv last year but one issue is the doubles combination following the retirement of veteran Rennae Stubbs. But with such a strong outfit Taylor will simply trial different pairings in the lead-up to the tie at the suburban Glen Iris club. 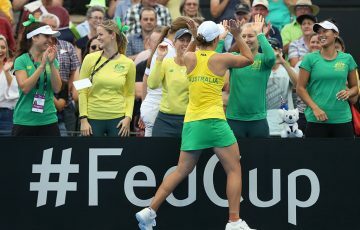 Stosur narrowly lost both her singles matches in Hobart but Taylor said all she needed to work on was attention to detail and executing her shots. “It was a pretty tough weekend, to lose two [matches] 7-5 in the third set,” Taylor said. “She’s won a lot of close matches recently and she’s been very consistent over 12 months. 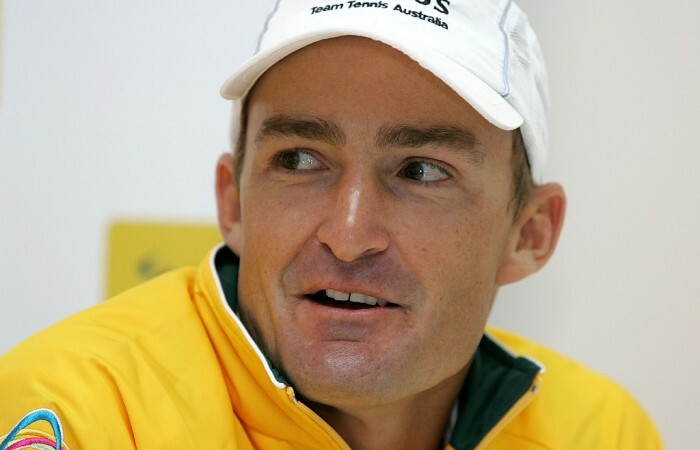 Meanwhile, Australia also has five men playing in the main draw at Indian Wells – Lleyton Hewitt, wildcard Bernard Tomic and qualifiers Chris Guccione, Marinko Matosevic and Matt Ebden. 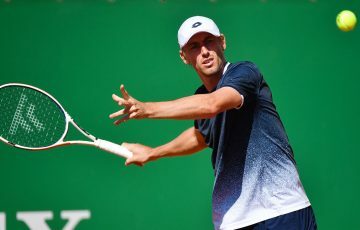 Guccione will face US wildcard James Blake first up, Matosevic plays Ivo Karlovic, Ebden takes on Mischa Zverev, Tomic plays qualifier Rohan Bopanna while Hewitt meets Taiwan’s Yen-Hsun Lu and is in line for a showdown with Australian Open champion Novak Djokovic in the third round.